The Reno Parks and Trail Committee annual Don’t Mess With Texas Trash-Off and Spring Clean Up has been set for Saturday, April 6. Reno is doing their part to Keep Texas Beautiful with their “clean-up” event at Reno Kiwanis Park starting at 9 a.m.
“The committee along with several citizens and volunteers plan on cleaning up the city,” said the organization. Those in attendance will be divided into groups to clean roadways, trails, and the park. A hot dog lunch will be provided afterward. 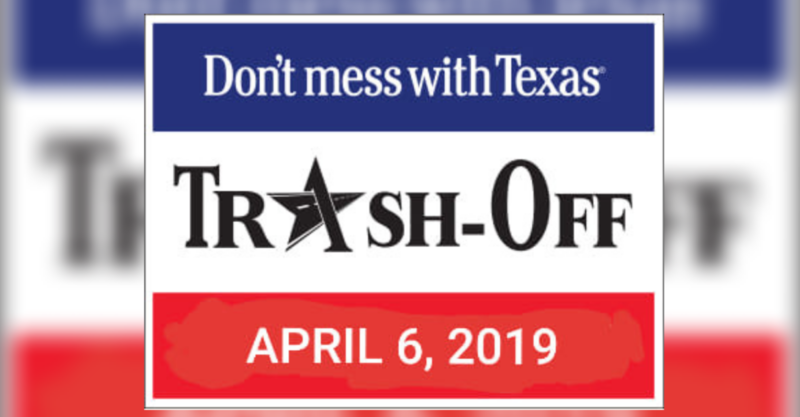 The Don’t mess with Texas Trash-Off is the single largest one-day cleanup event in the state and serves as Texas’s signature event for the Great American Cleanup, the nation’s largest community improvement program. The DMWT Trash-Off is part of TxDOT’s litter prevention program, which includes Don’t mess with Texas, Adopt-a-Highway, and a grassroots partnership with Keep Texas Beautiful. On the same day, Reno will also be hosting their Spring Clean Up which is scheduled for April 6th -7th from 7 a.m. until 7 p.m.
* NO APPLIANCES WITH FREON. * NO PAINT (UNLESS PAINT IS DRY). * ANTIFREEZE AND OIL FILTERS WILL BE ACCEPTED. * OIL MAY BE BROUGHT IN 5 GAL CONTAINERS (OR SMALLER). * MUST BRING WATER BILL SHOWING PROOF OF RESIDENCE IN RENO.